Tech giants have changed the world of broadcast forever. In a little more than a year, video on Facebook went from being a seldomly seen media type on a user’s timeline to a strategic priority for Mark Zuckerberg. The platform now serves over 8 billion video views a day and Facebook continues to roll out improvements to Facebook Live, a tool that lets any Facebook user easily broadcast from their mobile phone. Add in the hundreds of millions of hours of video consumed on YouTube each day, 110 years worth of video watched daily on Periscope, a new live video platform rolling out from Tumblr and the growth of audio podcasting and we see a new world of opportunities for storytellers to reach their audience. 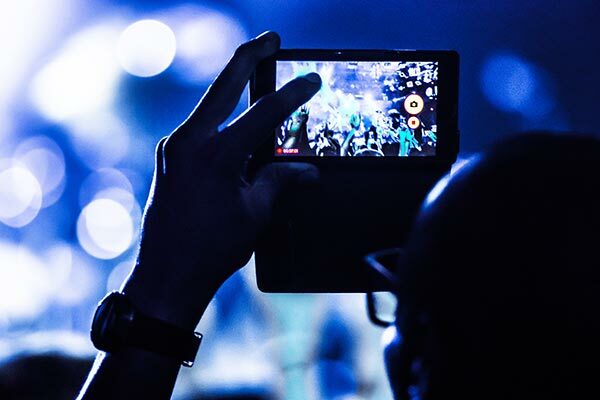 It’s a world where the power of broadcast has shifted from the studio to pocket sized mobile device and where media consumption has moved from the living room to, well, any screen, anywhere. Within the U.S. government, we have talented cinematographers, expert editors and incredible storytellers, all working to help fulfill the missions of their respective agencies. But the digital audio/video landscape is constantly changing. Announcements about new tools and deployment strategies for taking advantage of social media platforms bombard us daily. The Digital Audio/Video Community exists for us to help each other through these exciting times. We’ll trade knowledge about current projects and techniques, hold roundtable discussions and webinars to share best practices, have industry experts advise us and provide recognition for excellent work within the government space. If you are passionate about the intersection of mobile, storytelling and social media, please join our community. We look forward to sharing the road ahead.